Officiating - Cambs Cricket Umpires & Scorers Association - Who are we? 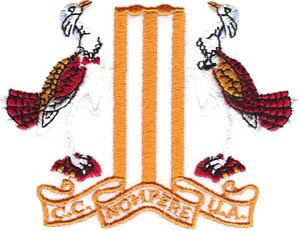 The Cambridgeshire Cricket Umpires & Scorers Association (CCUSA) comprises over 60 members who support East Anglian cricket at all levels from First Class matches to Under 10 county age group matches. They work with the ECB First Class, County Second XI, Minor County, East Anglian Premier and Cambridgeshire Premier panels, Cambridgeshire County age groups, local clubs, all youth and colt levels, University and schools matches - men and boys, women and girls. They are the County Association of the ECB Association of Cricket Officials (ECB ACO) and a member of the Cambridgeshire Cricket Limited. Full training at all levels for Umpires and Scorers are handled within the county at the Cambs Cricket Board offices and courses are held each year for all levels of umpires from Young Officials to Level 1A courses for panel umpires. Scorers are an integral part of the Association, with opportunities for scoring at all levels up to Cambridgeshire County Cricket Club, Cambridge University first team and Cambridge University Cricketing Centre of Excellence. We have Scorer members of all ages from 16 up to 80 who support East Anglian cricket at all levels up to Cambridgeshire CCC matches. There is a correspondence courses for Scorers which leads to an ECB Level 1 qualification, as well as local courses that are run during the year. The Association meeting's are held on the first Thursday of the month out of the cricket season.